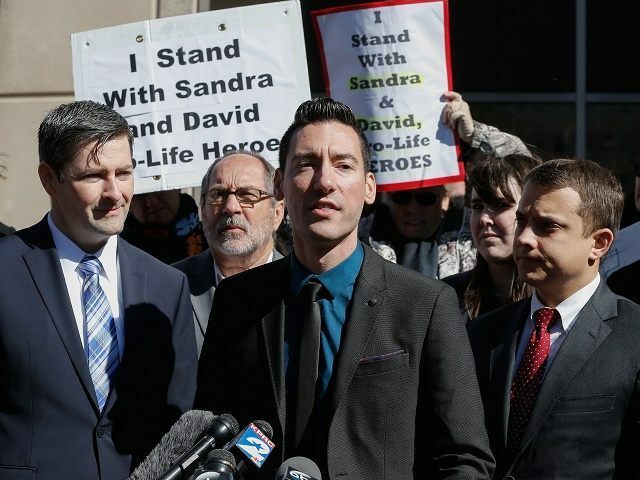 The California Attorney General just issued a criminal complaint against two anti-abortion documentary journalists for their undercover videos about Planned Parenthood activity concerning aborted baby parts. It may be the liberal Attorney General assumes his highly selective choice to only prosecute anti-abortion documentarians will allow journalists to turn a blind eye to the extraordinary application of this law to undercover reporting that is common-place in California. Section 632 of the California Criminal code makes it a crime to “intentionally” and “without the consent of all parties” record a conversation if that conversation is a “confidential communication.” A conversation is, by law, not confidential if there is not a reasonable expectation it cannot be overheard. A conversation is, by law, not confidential if it concerns certain kinds of criminal conduct — colloquially known as the “extortion exemption” but also applicable to other crimes, such as violent crimes against a person. Under clear California law, the First Amendment protects the publishing of any recording of public interest. Additionally, up until yesterday, it was assumed the First Amendment prevented criminal prosecution for news-gathering investigative undercover recordings in aid of First Amendment activity. A California court already recognized the activity of these two anti-abortion investigative journalists as First Amendment protected activity when denying an injunction against their publishing the results of the recordings. The court first noted “the First Amendment protects the ordinary news-gathering techniques of reporters and those techniques cannot be stripped of their constitutional shield by calling them tortious.” The court further noted “hidden cameras and miniature cordless and directional microphones are powerful investigative tools for news gathering” even if they threaten personal privacy. The court prioritized protection for those cases where the First Amendment motivation directed the undercover recording activity. To date, there has not been a single public complaint from the liberal press about this extraordinary criminalization of documentary reporting. Apparently, liberal media believes the First Amendment is their wholly owned monopoly, and when it comes to conservatives, the First Amendment need not apply. That puts everyone at risk. Robert Barnes is a trial lawyer with high profile wins in constitutional, criminal, and civil law. You can follow him @Barnes_Law.